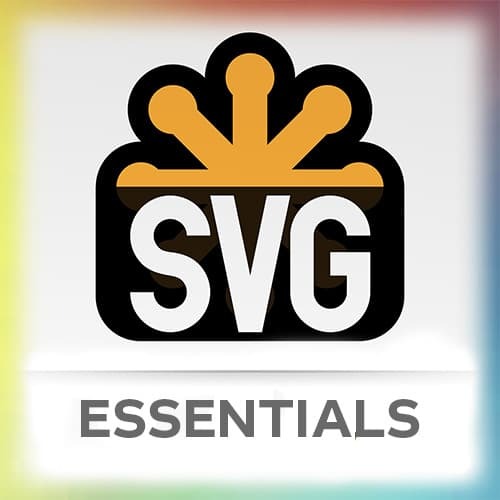 Sarah breaks down the rectangle, circle, polygon, and line platonic SVGs. Sarah introduces a resource to help understand animated Bézier Curves, and demonstrates how to use template literals to create animated lines. Sarah details how to make an SVG readable to screen readers, and introduces several resources to read further on the subject. Sarah highlights some key differences in property names, and functionality of the object in SVG versus CSS. Sarah introduces basic GSAP syntax. Sarah uses a CodePen to demonstrate how to utilize the TweenMax library. Sarah talks through how to set CSS properties in GSAP, and why it might be advantageous to do this instead of writing it in the CSS file. Sarah briefly discusses the usage of using D3 while using GreenSock. Sarah live codes the animation of several boxes using GreenSock. Sarah discusses the purpose of a UI Animation that differentiates it from a standalone animation. Sarah explains how to use animation to help improve the user experience with anticipatory cues, color accents, and standalone SVGs. Sarah shows some examples where animation helps to switch the context of what the user is viewing. Sarah demonstrates how a travel website's UI could be improved, and uses animation to improve it. Sarah gives an overview of commonly used useful functions. Sarah introduces a plugin that allows for actions such as testing whether objects are touching each other, momentum effects, and locking movement to an axis. Sarah introduces a plugin for GSAP that allows the user to progressively reveal (or hide) the stroke of an SVG. Sarah reviews viewBox and how to grab the coordinates of it to interact with its parameters.